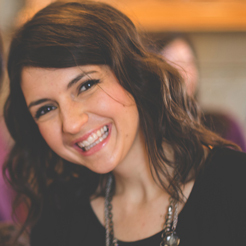 As moms and dads, we develop “tricks of the trade to make the difficult task of parenting a little bit easier. 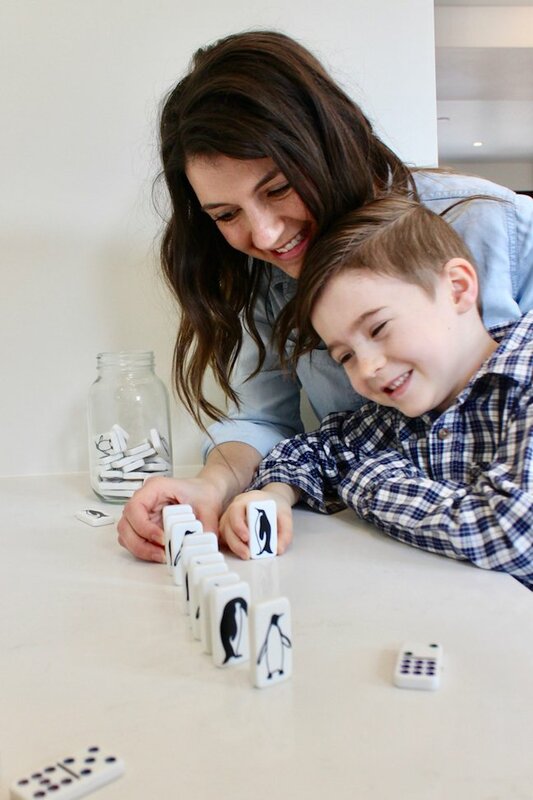 One of my parenting “tricks” is to make our family activities relevant to my kids interests, even if it’s in some small way. My kids love animals, so anytime I can incorporate animals into what we’re doing, the more successful I’ll be. 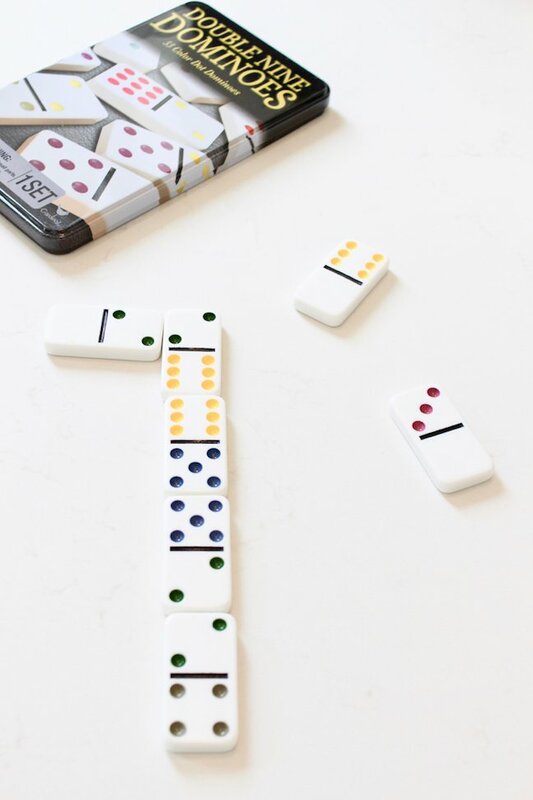 I plan to use my clever “trick” to incorporate math (and extra fun) into our Friday movie-and-game-night tradition. My family can hardly contain their excitement because our next movie pick is March of the Penguins 2: The Next Step on Hulu. Now streaming, the movie will take families on a waddle-ful adventure, as they share the journey of two Emperor Penguins, a father and son, and the vast challenges they face to survive in Antarctica. 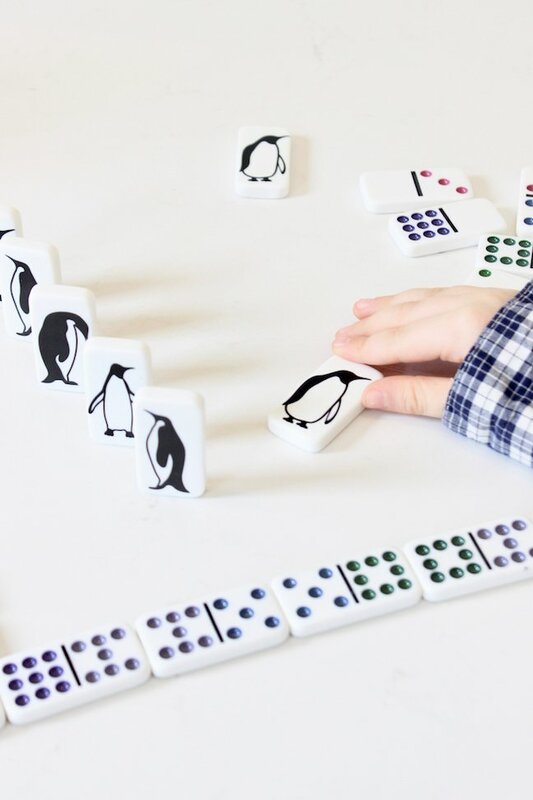 I don’t need to convince my kids to watch a sequel to one of their favorite movies, March of the Penguins, and learn about the adorable arctic-dwelling creatures. However, I do need to persuade my kids into trying educational games they would otherwise call boring. 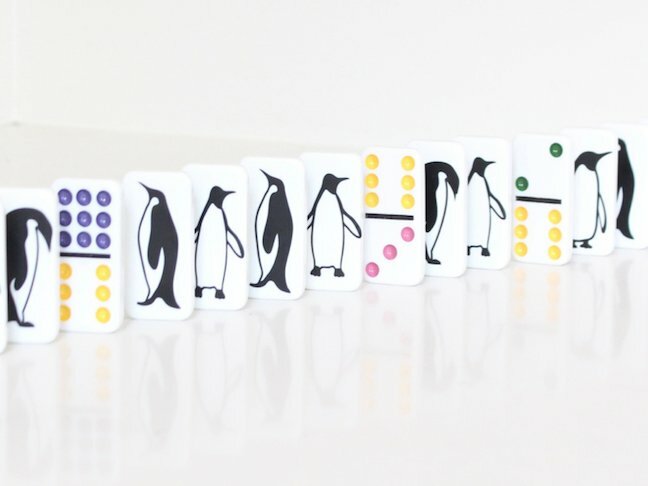 So, I transformed 55 Domino pieces into one of their favorite animals: the tuxedo-clad Emperor Penguin. 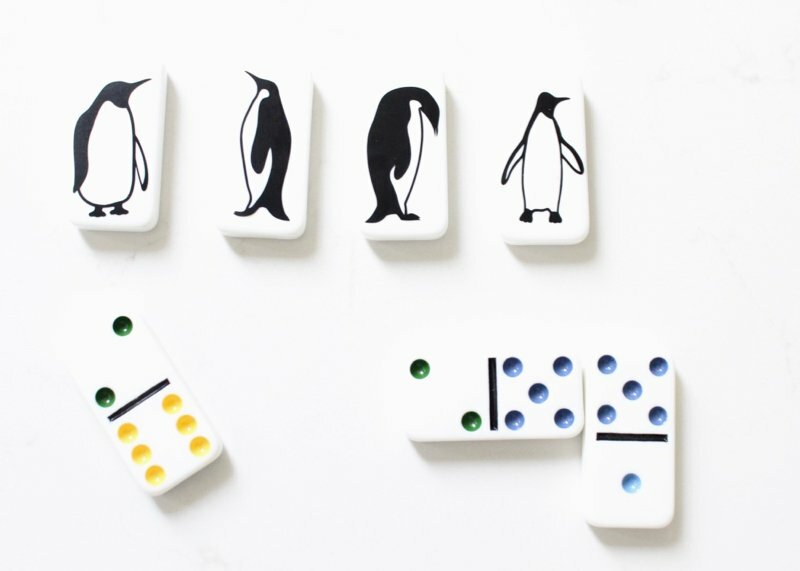 Now, it’s one of the coolest Dominoes sets I’ve seen, and my entire family loves to play it. I didn’t spend more than $10, and it took less than one hour of my time. But, you want to know the best part about it? I get to spend quality time with my family. The memories we create are priceless, and there’s nothing “tricky” about that! 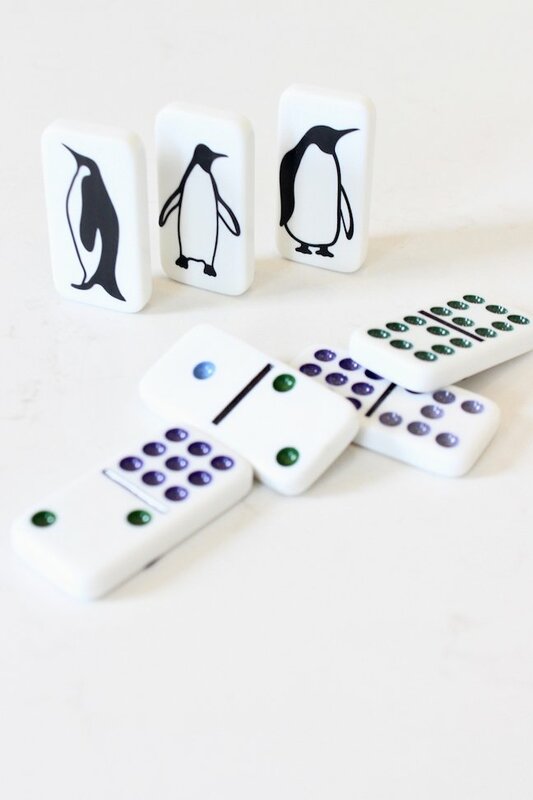 A movie and game night is a simple and fantastic way to spend time together. 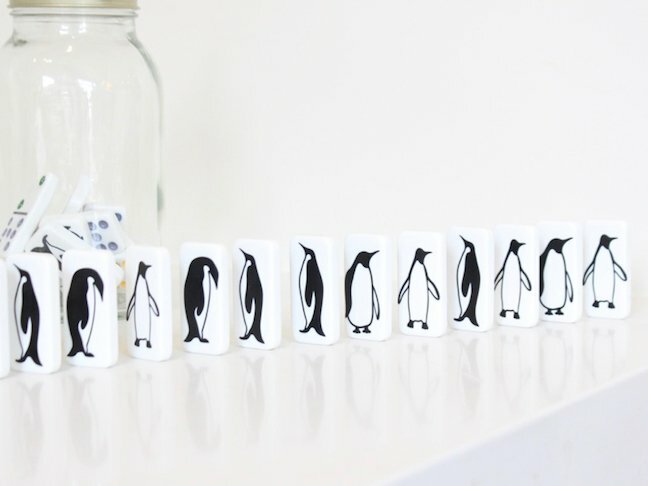 “Waddle” you do to spend quality time with your family? 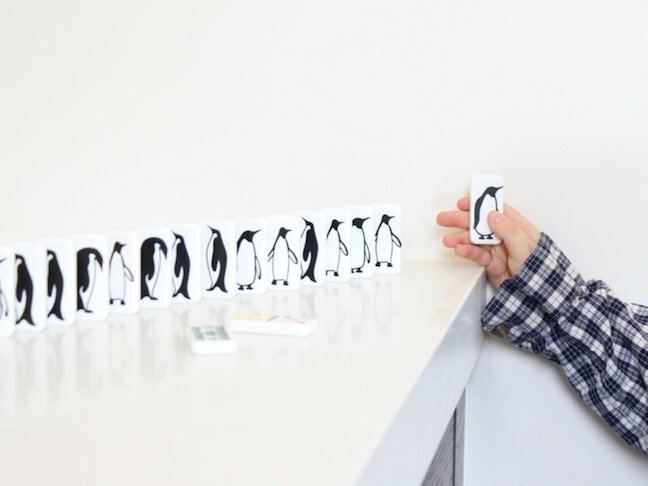 Follow the short steps below, and add emperor penguins to your game and movie traditions. 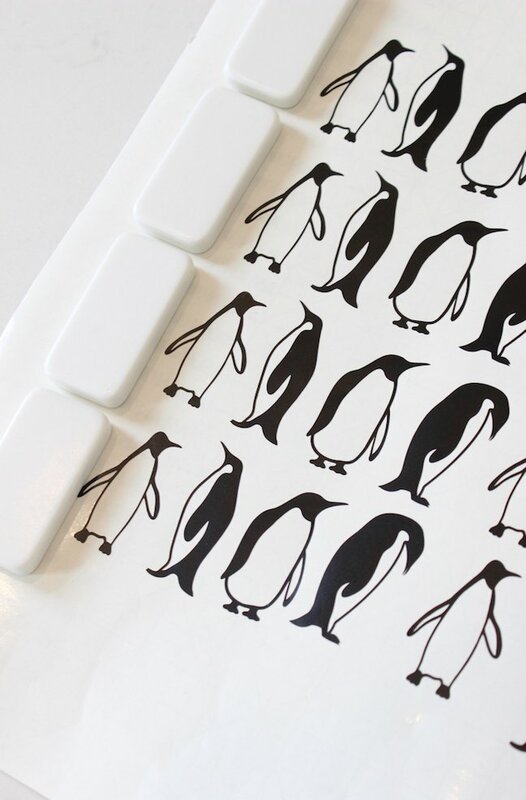 Step 1: Order the penguin vinyl decals, or create them at home. 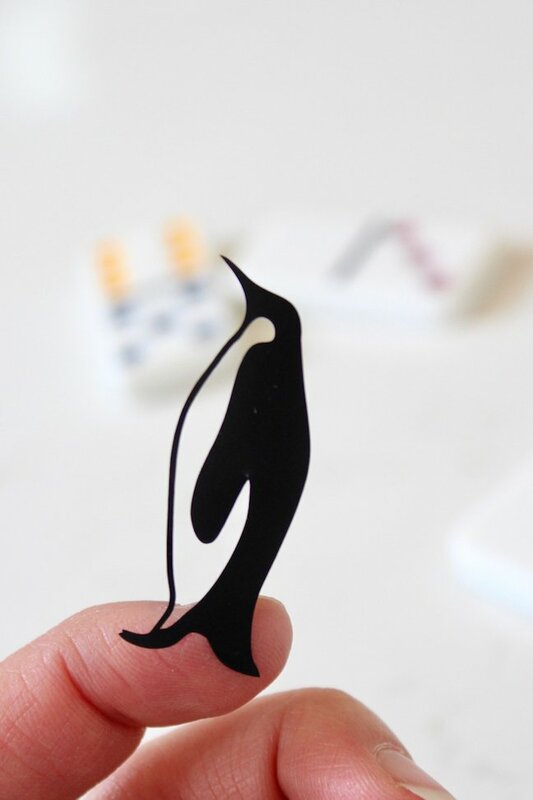 I used my Silhouette Cameo 3 electronic cutting machine to cut the mini penguins on black vinyl. If you have a similar machine, you can do the same. 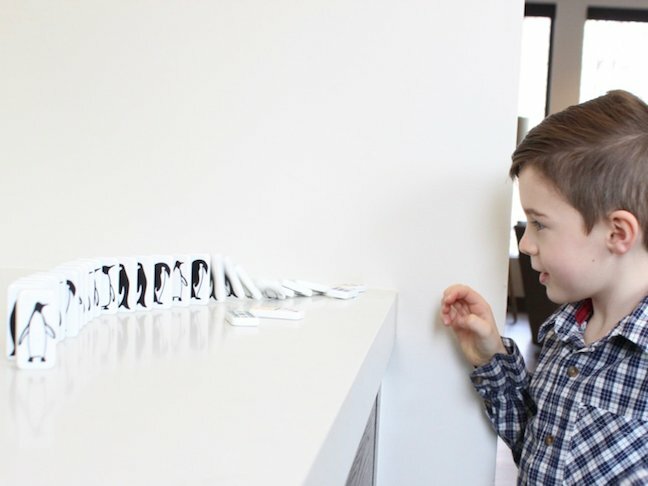 If you don’t have a cutting machine, don’t fret. 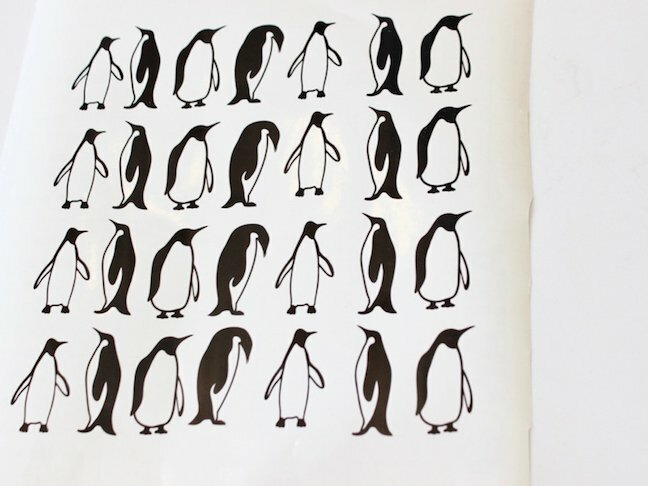 I found similar mini penguins vinyl decals here and here on Etsy. 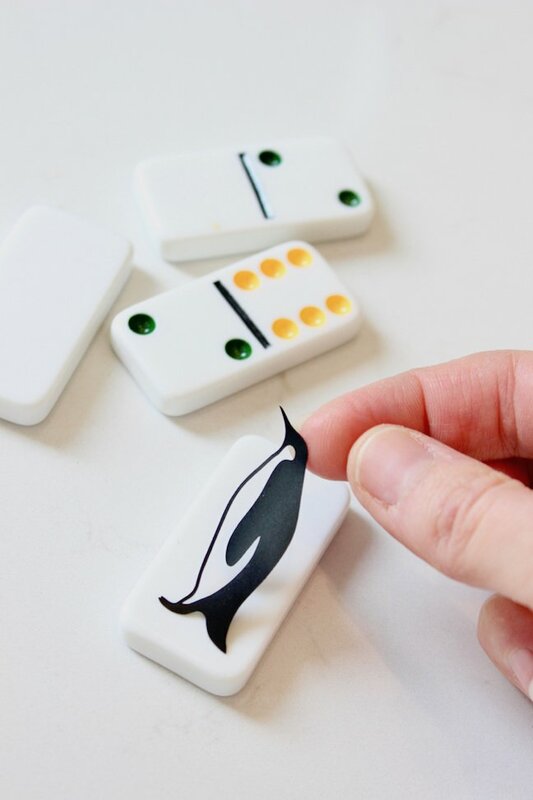 Step 2: Add the mini penguin decals on each Domino piece. 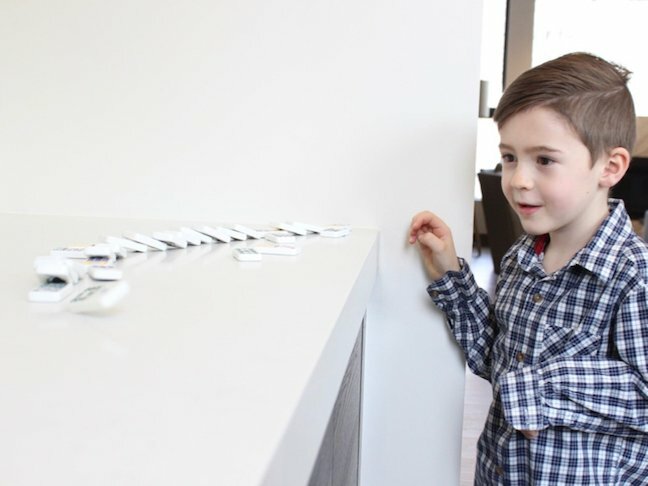 This just a peel-and-stick process, which is incredibly easy—your kids can help. Step 3: Play! 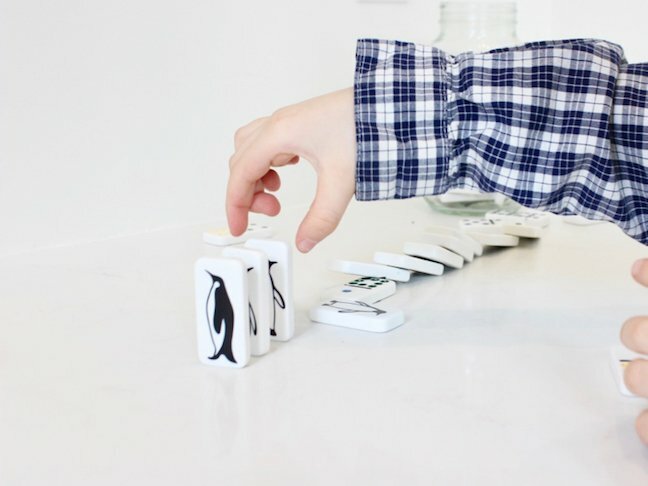 First, we played the traditional “block dominos,” where players take turns to match the numbers on the board. 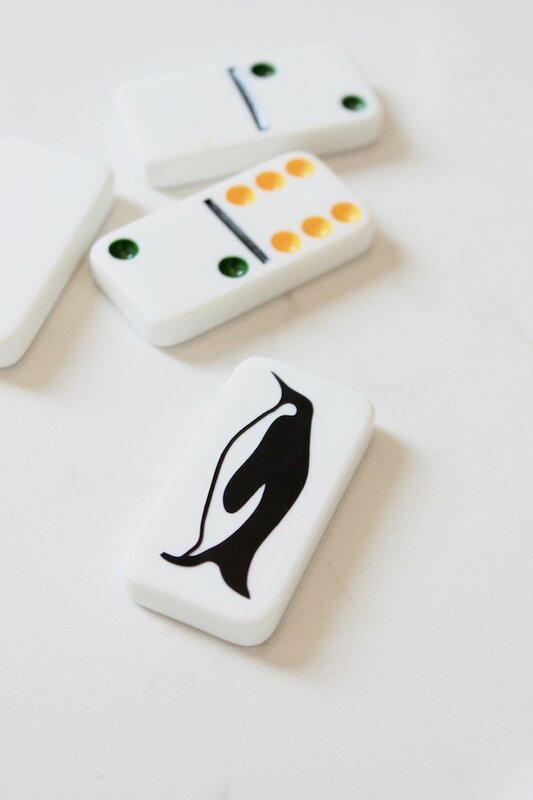 Then, we line up the penguin Dominoes along the center of our table. This is the kids’ favorite part of the game because it reminds them of incredible scenes they saw in March of the Penguins. 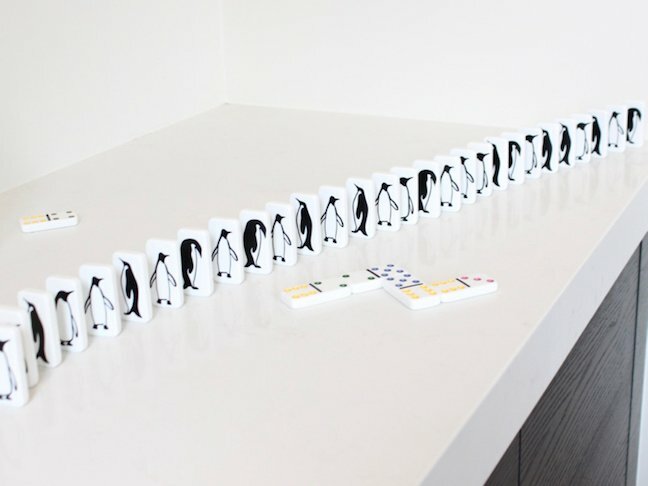 As we learned in the movie, when Emperor Penguins march to their breeding grounds, the penguins form an orderly line to travel nearly 70 miles across Antarctica’s unforgiving landscape. 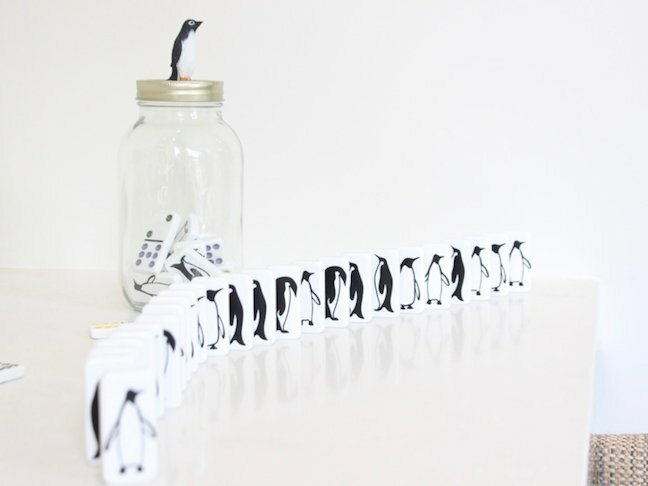 Although the setting is vastly different than our table, the penguin dominos resemble the penguins lined up, waddling their way to love. 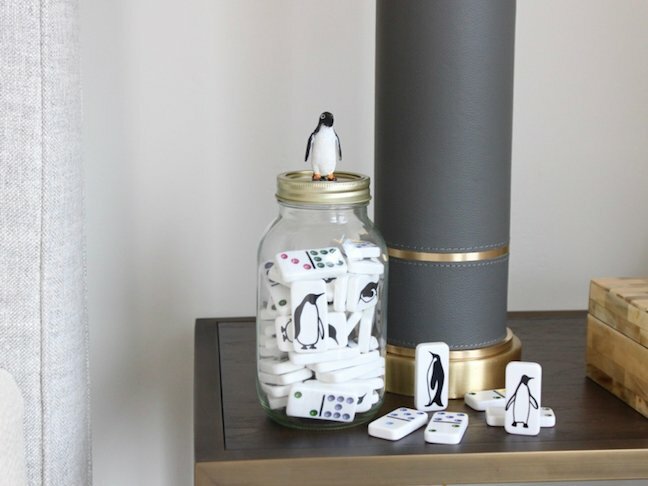 Step 4 (optional): The dominos can be stored in the original tin; however, if you want a container you can also proudly display, a large mason jar works great. 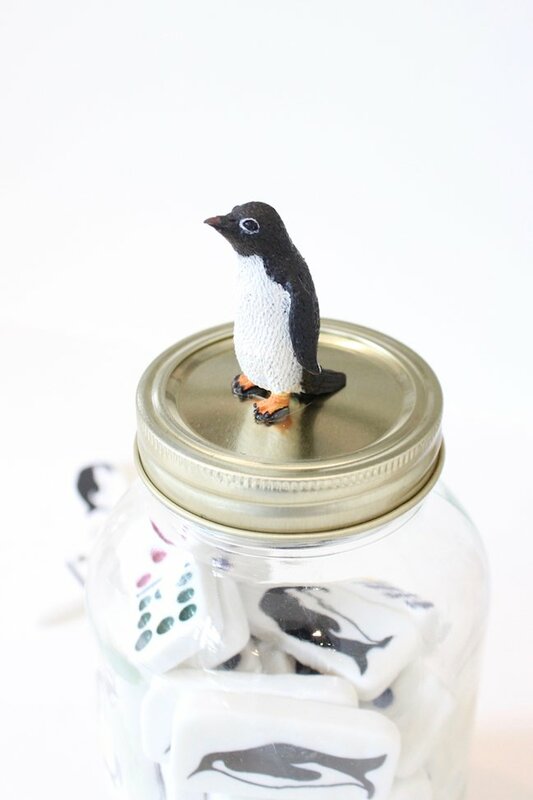 Glue a tiny toy penguin on top for an extra touch of cute. I hope you join my family in cuddling up with your colony this weekend.